They’ve got their own Growers’ Association. They have a festival of their own: The Chile & Frijoles Festival. 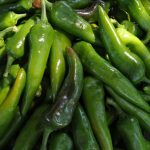 They have their own supermarkets: Colorado Whole Foods Market locations dumped Hatch chiles and replaced them with Pueblo chiles. And governor John Hickenlooper has even designated the last Saturday of the Colorado State Fair as Pueblo Chile Day. 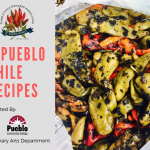 To celebrate the spring planting season, the Visit Pueblo Convention and Visitors Bureau puts on the Spice Up Spring Pueblo Chile Recipe Competition. Local restaurants craft unique culinary delights with the sole criteria being that their one-0f-a-kind recipe must feature Certified Pueblo Chile. Delectable dishes from the 2017 Spice Up Spring Competition included Pueblo-Chile-inflused bagels, macaroons, cheeseballs, artichoke dip, Mexican fruit cups, and more! Among some of the most creative dishes were Colorado Lamb Lollies with Citrus Mint from Brues Alehouse, Pueblo Chile Potato & Bacon Rose by Wine Down By the River, and Chile Chicken Cordon Bleu from Peppers at Milberger Farms, to name a few. Pueblo Chiles the toast of D.C. Comments Off on Pueblo Chiles the toast of D.C.
Pueblo Chiles made a tasty appearance in the nation’s capital Tuesday. 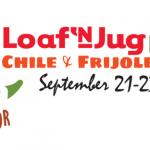 The annual Chile & Frijoles Festival Presented by Loaf ‘N Jug is Pueblo’s harvest celebration. The festival is sponsored by the Greater Pueblo Chamber of Commerce and runs September 22-25, 2017. 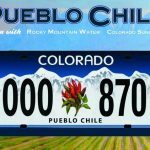 A bill to recognize the chile growers of Southern Colorado with their own special license plate won voice-vote House approval this morning. House Bill 1012, sponsored by Rep. Daneya Esgar, D-Pueblo, was requested by the Pueblo Chile Growers Association, which is mounting an economic development campaign to give their products a higher profile. Thanks to a new branding campaign, local leaders and the newly formed Pueblo Chile Growers’ Association now have their sights set on Pueblo Chiles taking a permanent seat in Colorado’s culture, instead of just Pueblo’s.